Perhaps I may be able to help here a bit to further describe Holograms. 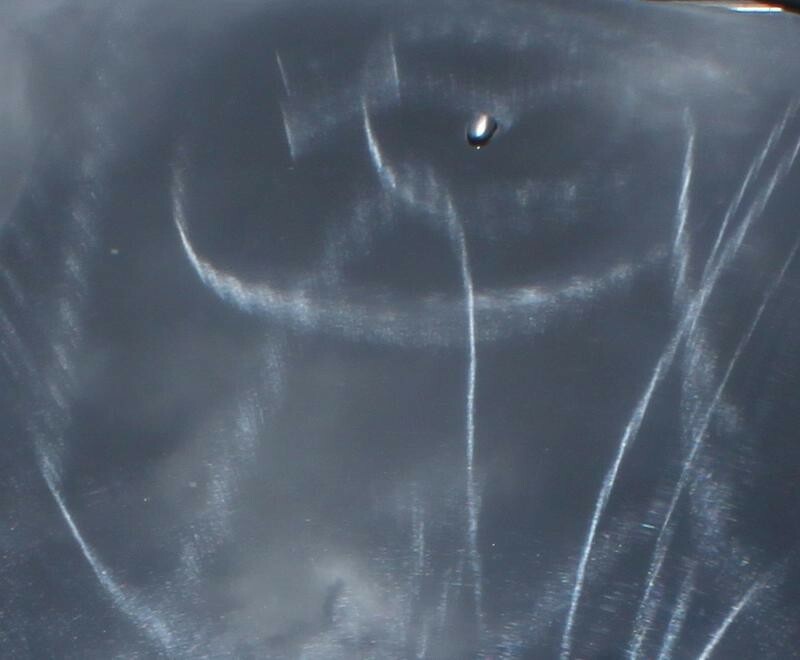 Rotary Instilled Holograms= These are tiny directional scratches caused by rotary polishers. Mike has posted great pictures here but what pictures do not provide is the dancing effect that these holograms give as you walk around or change the light angles(think of the northern lights type of effect.) 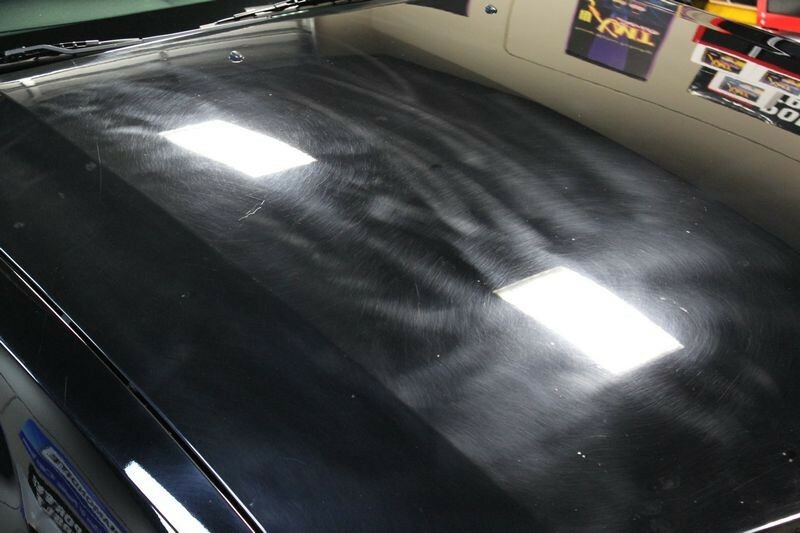 The reason rotary holograms dance is due to the nature of the one directional scratch pattern left behind that only a rotary polisher can perform. Your eye catches and doesn't catch the light refraction from the scratch at certain angles as you walk around giving you the appearance of dancing or being just above the paint. The reason you are able to see where the buffer has been is simply due to the last section of the pad to touch the paint generally leaves the lines we all call holograms. DA Instilled Micro-Marring= These are tiny Multi-directional scratches caused by DA type polishers. That's some darn good writing there Jim and some excellent descriptions on the differences. Here's a few shots taken in the sun. 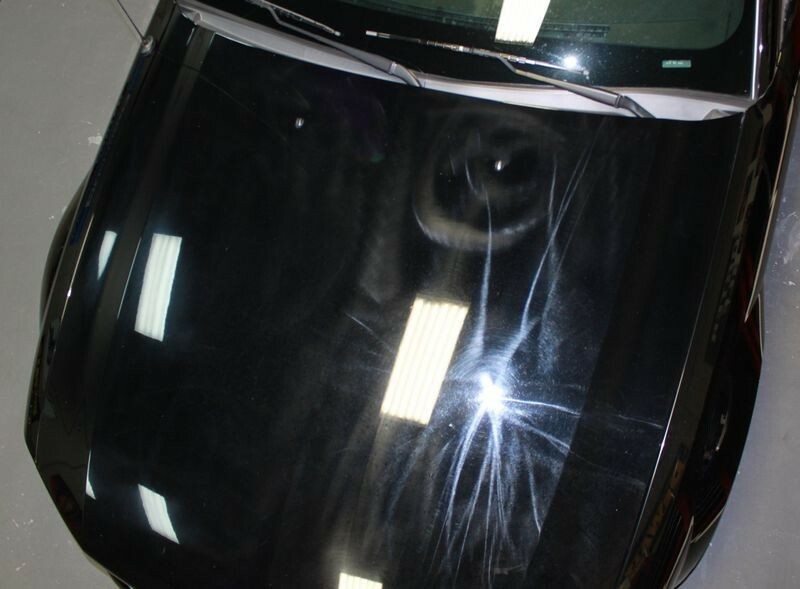 Note how the swirls in the paint closest to the windshield have an almost floating or 3D effect, this is where the term hologram comes from in the context of talking about swirls instilled by a rotary buffer. Often times you'll hear or read about "Holograms" or "Buffer Trails". These are both interchangeable terms for Rotary Buffer Swirls. If you look at the below swirls they almost seem to have a 3D or floating in the paint affect, this is the appearance characteristic from which we get the word hologram. 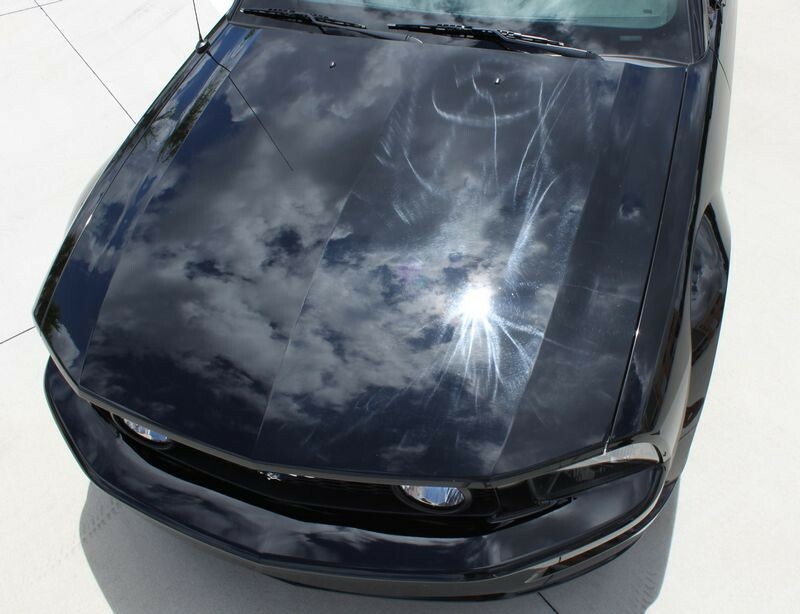 Mustangs are beautiful cars but not when the paint shimmers with swirls... the paint is supposed to shimmer with a swirl-free shine. The zillions of swirls in the clear layer makes the paint look hazy and blocks your view of the black paint under the clear top coat. This reduces the darkness of the paint making the true black look gray. 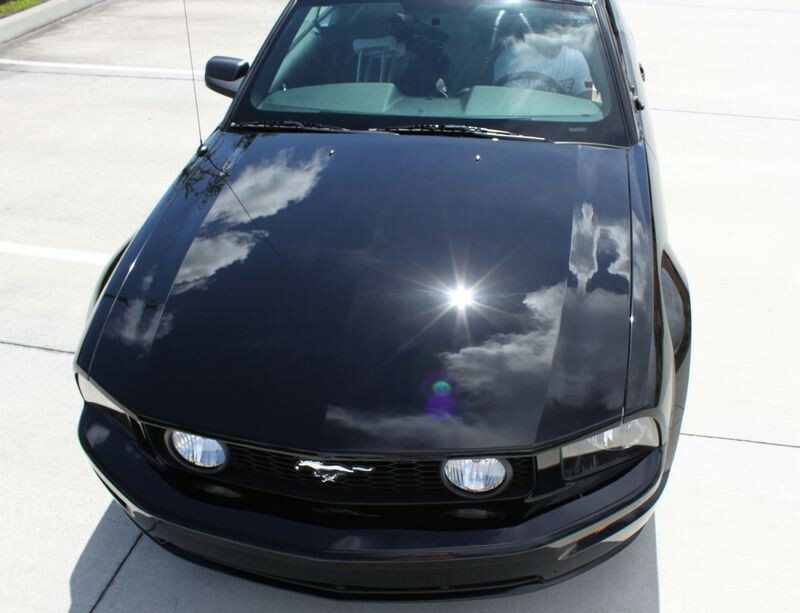 The above pictures are from a Mustang I detailed back in 2011 when Jason Rose (while still at Meguiar's), sent me lab samples and beta versions of the pads and products in the (at the time), new Meguiar's DA Microfiber Correction System. Ha ha... pretty funny Todd! I hope you share that I am responsible for the "after" pictures, not the before pictures. Thought I would bring this thread up again as I had someone ask me about holograms. 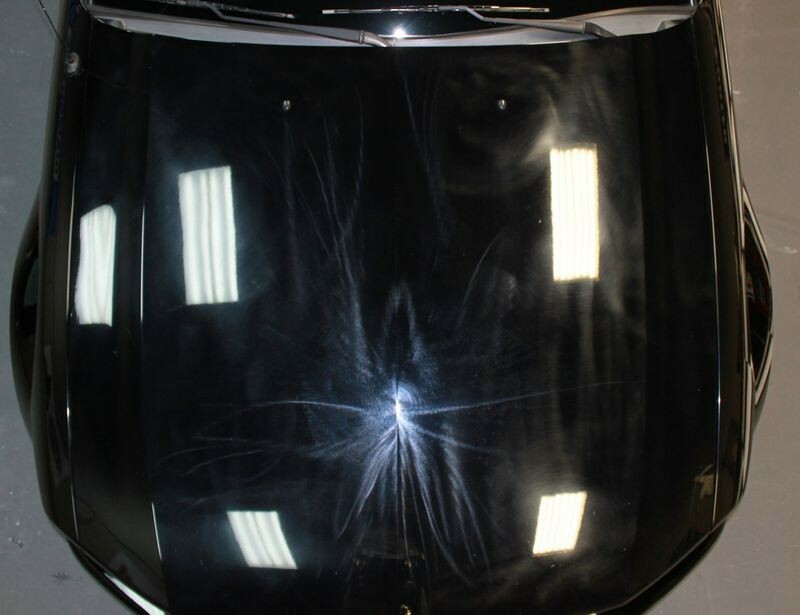 DA polishing is easy and ANYONE can learn how to use one in a short amount of time. Look at Mike Phillips classes and look at some of the stunning professional results people in those classes achieved with DA polishers!! Mike always says most never machine polished prior to that instance. His classes are a hands on approach so they learn thru use very quickly. Now looking at rotary polishing: you can learn the basics quickly but to finish properly takes weeks, months even years to master. 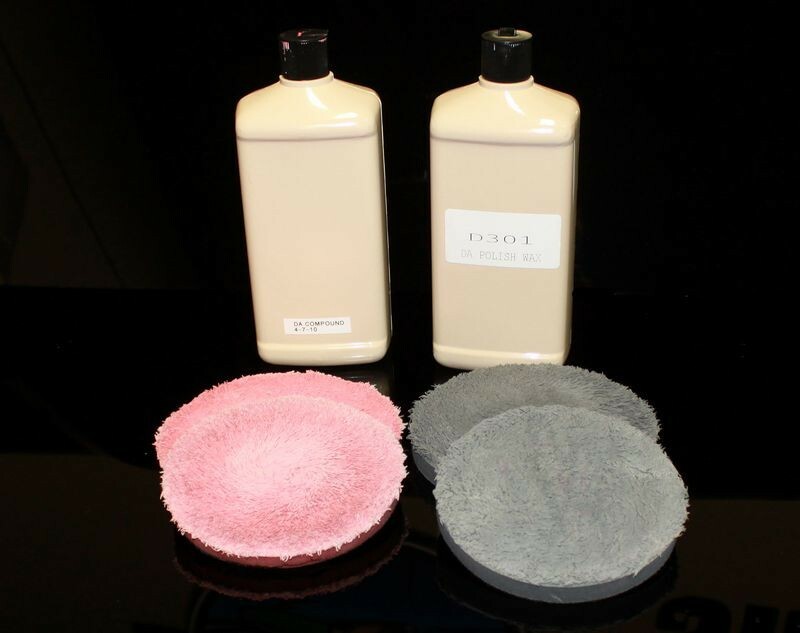 There is a lot to think about when rotary polishing. Buffing off an edge rather then into and edge, using caution on high spots, speeds and the list goes on. I personally don’t believe ANYONE who claims they can finish 100% on every paint system. Very often when doing a multi step correction, the rotary blazes thru the compounding phase and then a DA will produce the show car finish. I get asked why even bother with a Rotary when there are so many advancements in DA polishers and buffing liquid technology. For me the answer is simple. 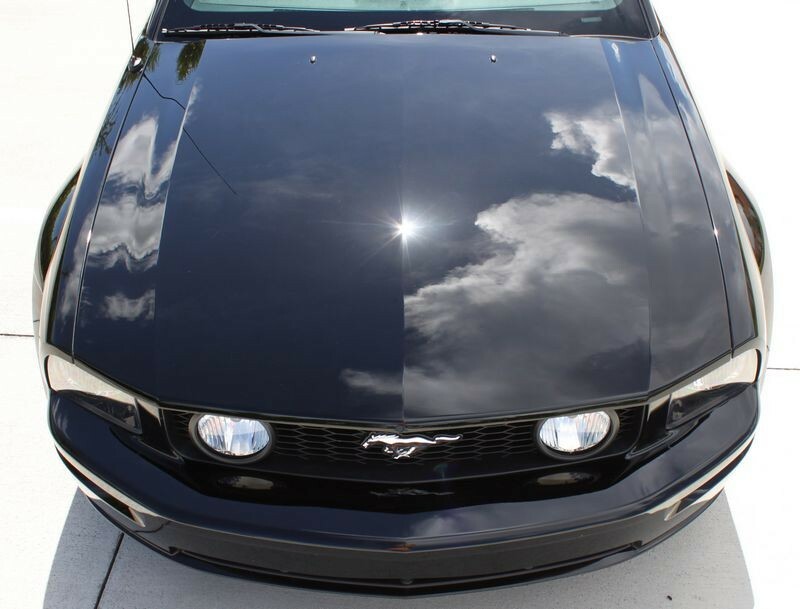 I love rotary polishing and it is the fastest method for correction. Time is money and I like to work fast while still producing fantastic results. Hopefully Mike Phillips will comment. I’m sure he will give the same answer to that question and even add more!! Thanks, Jim, for resurrecting a very informative post and info from Mike. I too come from a long (and somewhat arduous) journey of rotary experience. I couldn't agree more with your experiemce and comments. 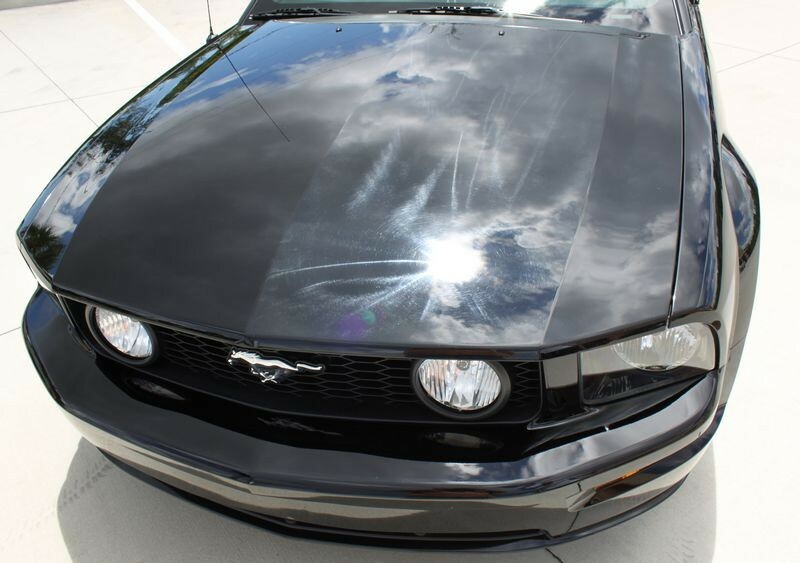 Customer says I caused holograms in coating? - Wants to sue me! 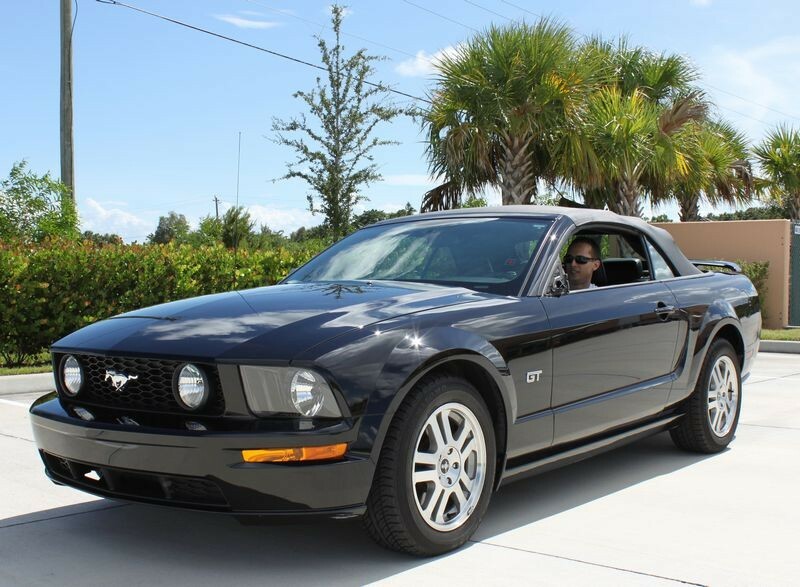 By jahman in forum Ask Mike Phillips your detailing questions!